Successful communication can be the difference between being overlooked and being heard but in a world of spin and noise it can be difficult to capture the attention of those you are trying to reach. The design of your logo, business cards, print material and advertising are what people see when they look at your business. First impressions are hard to change. 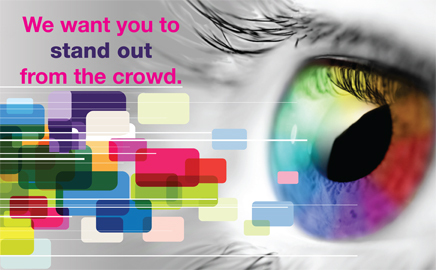 We can help you stand out from the crowd using design to strategically communicate your messages. Visit our gallery and see samples from our graphic design portfolio. Here you will see the quality of the design work we produce. At Duolynx, we have the right attitude to really make a difference. We love it that our customers project successful images and we want you to become our latest success story. Call or email us to discuss our Corporate Identity Packages, rebranding your business or design of any of your print materials. Copyright © 2015 Duolynx Design & Print. All Rights Reserved. Vector Websites – Sites with Direction + Magnitude.